At Smart Drive UK we have a training programme that could save you time and money compared to most other driving schools and delivered around your needs. 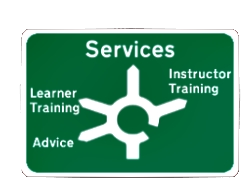 All of our lessons are designed to provide the standard required by the DVSA. Unlike most other driving schools we do less talking so you can practice. We provide you with a facility to watch all the lessons you are going to learn. So you can watch in the comfort of your own home as often as you like. Reducing the amount of time needed for discussion in the car. This will also allow you to practice in your own vehicle (if you are lucky to have one at this time) where you are not paying. Lessons can be as long or as short as you wish, however having more than 2 hours can be very tiring and less than 1 hour could be ineffective. This does depend on you, as no two pupils are the same, some benefit from shorter lessons, where others prefer longer lessons. INTENSIVE DRIVING LESSONS are also available if you need to pass within a week or two. We are also aware that we all learn at different speeds. So if you are quick learner then we will not waste time to push on to the next stage but if your not as confident we have as much time as you need. ll of the tuition vehicles are maintained to a very high standard and kept clean, tidy and well presented. There are many different makes & models that we use. All have dual controls so you have the confidence of our trained instructors being at hand (and feet) at all times. At Smart Drive UK, you will receive a Starter Pack. This includes an appointment card, progress report, Basic Driving Routines Guide, Safety questions & answer sheet and full access to our on-line Theory progamme and Hazard Perception. The introduction of the Theory & Hazard Perception tests mean all Learner drivers need to pass this before they are able to sit the Practical Driving Test. At Smart Drive UK we will help you absolutely Free. 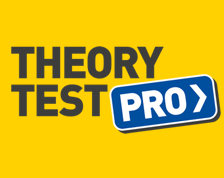 With the use of our On-line Theory Test Programe and total support from your instructor, you will be ready to pass this test in no time and is great fun too!